Your local liquor chain is capturing more than just the market for alcohol. A new Victorian study commissioned by the Foundation for Alcohol Research and Education and released this week has found that large bottle shops and liquor chains contribute more to local alcohol-related harm. The study provides even greater insight and evidence into what has long been established, and adds to the link between alcohol outlet density and subsequent harms. Led by Monash University the study, Disaggregating relationships between off-premise alcohol outlets and trauma assessed 295 randomly selected takeaway liquor outlets in Melbourne. Researchers studied trauma data supplied by Ambulance Victoria for intentional injuries like assaults, stabbing and shootings, as well as unintentional injuries such as a fall or being struck by an object and found that the number of bottle shops is positively related to both intentional and unintentional injury. Most interesting was that liquor chains appeared to contribute most substantially to trauma risk in neighbourhoods, with each additional chain outlet associated with a 35.3 per cent increase in intentional injuries and a 22 per cent increase in unintentional injuries. It’s a very valuable insight into what we already know about the link between alcohol outlet density and subsequent harms. 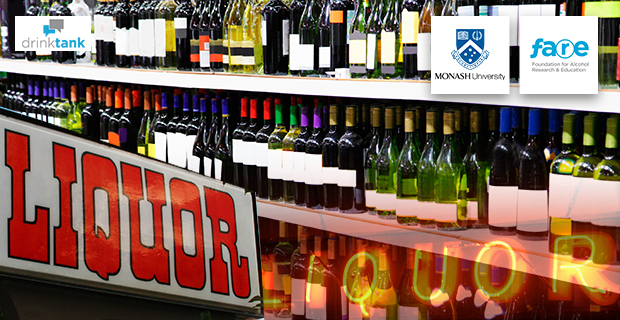 Previous studies have found that the more liquor outlets there are, the more harm. This research goes further and demonstrates what bearing the characteristics of the outlet have on the resulting harms, and makes clear that alcohol chains are contributing to more assaults and injuries than independent outlets. There are important implications for state liquor licensing authorities. It should become unacceptable for licensing authorities to approve applications without consideration to the existing liquor outlet landscape when we know that limiting the number of off-license liquor outlets, particularly chain outlets, would reduce the level of harm. The default position has been to say ‘Yes’ to applications for new liquor licences. All too often it’s left to local governments and local communities to intervene to argue an approval would be damaging for their neighbourhood. Legislators and licensing authorities should be prioritising public health and safety, and placing the onus of proof squarely on the shoulders of the applicant to prove otherwise. This research has been released at an opportune time, as the Commonwealth Government prepares to consider the Competition Policy Review Final Report recommendations and adopt new Competition Policy for the nation. Timely because the introduction of Competition Policy two decades ago has been directly responsible for the dramatic increase in the number of licensed premises in Australia. Past governments have failed to recognise that alcohol is not an ordinary product, like cornflakes and washing powder, and consequently failed to prioritise harm minimisation above the desire to promote unfettered competition. The result? In Victoria alone, the number of licenced premises more than doubled since 1998, accompanied by a dramatic increase in alcohol harms including a two-fold increase alcohol-related ambulance attendances. With the government now examining the feedback it has received from industry, consumers, the public health sector and FARE as part of its consultation on Professor Harper’s Final Report, governments’ would be wise to consider the findings from this latest research.